The way the in-game society of EVE constitutes itself is an engaging topic which often gives me food for thought. In this piece I will share a part of those thoughts, taking a look at the social values of EVE on a large scale and compare them with the real world. The specific comparison I am going to make is between EVE Online and feudal Japan. Warrior Nobility The most iconic image from feudal Japan is that of the samurai. The samurai were a noble class of professional warriors who could collect their own taxes and had a wide range of judiciary rights. Other than the European knights, they did not own any land, but their social standing was significantly higher. Their high status had developed throughout the centuries that Japan had been torn by a succession of wars. Conflicts between landholding nobility, the daimyo, and military leaders, the shogun. Those were not engagements with vast armies. Battles at that time were fought between limited groups of skilled fighters. Expert warriors were highly important and rose to prominence under those conditions. I would compare that period of Japanese history to that of the first alliances who conquered nullsec and kept fighting each other. Back then, there were no capital ships yet, and fleets were significantly smaller than nowadays. The military strength of alliances was based on players with both high skillpoints and skill-in-game. Many of the major powers of that time were later mocked for their “e-bushido”. That doesn’t come out of the blue. Warfare was indeed more governed by a code in those days. One aspect of historical Japan that is reflected widely in EVE is the very low status of resource gatherers, manufacturers and traders. In EVE, miners and mission runners are usually treated with the least respect. In feudal Japan the farmers were at least given lip service for their role as producers, but they were still a powerless and disenfranchised underclass. They could be killed by anybody of noble rank simply for not treating them with the necessary deference. The EVE equivalent can be seen in the attitude that it is absolutely OK to gank miners and mission runners for “educational purposes” or to “create content”. In Japan, the lowest legal class of those times were the artisans and merchants. Only beggars, thieves and prostitutes would be considered lesser than them. The Mittani’s often quoted statement that “industrialists do not matter”  is indicative of a very similar outlook towards manufacturers in EVE. Similarly to EVE, the professionals of historical Japan were not necessarily poor people. Just like a mission runner, nullsec renter or industrialist can be rather wealthy, so could the townsfolk of feudal Japan, but money earned them no respect or social status whatsoever. From Oda Nobunaga to the Edo Period Eventually change came to feudal Japan. The military leader Oda Nobunaga adopted strategies and tactics that were influenced by warfare doctrines from China and Europe. He increased the value of the common soldier by organizing his military force into large battalions armed with muskets and polearms designed to be used against armoured and mounted samurai. He began a campaign of military conquest with the goal of subjugating the various warring parties. That went on through a series of major conflicts which were continued by his military successors Toyotomi Hideoshi and Tokugawa Iyeasu. This period corresponds with the time of the great wars in EVE where new mass-based fleet tactics were applied against elite fighters with success. Tokugawa was originally a military man, but he was effectively the first politician to rule a unified Japan. During his Shogunate the country was restructured and reorganized. The hierarchy of daimyo and samurai was tied strongly to the Shogunate. They were placed under strict control while keeping their power over the lower classes intact. The number of samurai retainers individual daimyo could have on active duty was regulated and reduced. That produced a large number of jobless expert warriors. A national bureaucracy was established, mainly by appointing some of those samurai to administrative positions. The remainder roamed the land in poverty, but they still commanded the same level of respect. The role of the professional classes was improved and they were elevated in social status above the peasants. In EVE, that is the time of the large coalitions where politicians, diplomats and industrialists become the movers and shakers of the major powers. On the other hand, the Edo period is also the setting for most of the modern Jideigeki stories. Those are period pieces about famous masterless ronin who would roam the land and achieve great feats of martial prowess albeit with little or no political consequence. The EVE equivalent are the Solo-PVPers and small alliances who haunt NPC nullsec and lowsec. Their names are the stuff of legend[ary PVP clips] Just like Miyamoto Musashi, Hattoro Hanzo or Yamamoto Tsunetomo were for their period. (Too bad there are no youtube videos of their fights.) Against a backdrop of overwhelming power, romantic dramas of successful rogues are acted out. Looking back across the continents for a moment, I would compare that to the period pieces of Alexandre Dumas or the stories of Cyrano de Bergerac. In those tales, highly proficient fencers prevail against the powers that rule their world, but without changing much in the sphere of high politics. The Meiji Revolution? In Japan, the old ways were not cast aside during the revolutions or wars of independence that Europeans and Americans are used to from their history lessons. Old Japan came to an end because the Emperor decreed it. In a staggeringly short time, the samurai were stripped of their powers and the manufacturers and merchants were lifted up to significance. The old doctrines of warfare were declared obsolete. Adoption of a new way of life was declared mandatory. Could there be a similar revolution coming to EVE? 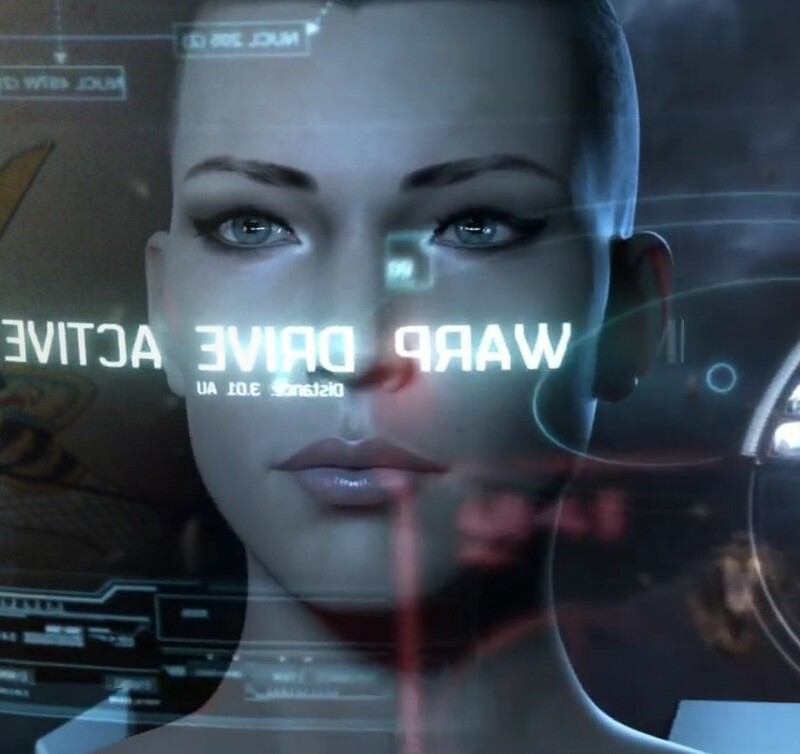 CCP has decreed that parts of the EVE in-game landscape and structure will be reorganized. Much of that transformation has not manifested yet, but the upcoming changes to industry will make that field more accessible and at the same time more complex. It looks like nullsec industry will actually become feasible. The old times of “Industrialists do not matter.” may be coming to an end. Already there are nullsec powers who are currently engaged in recruiting industrialists at an increased pace. 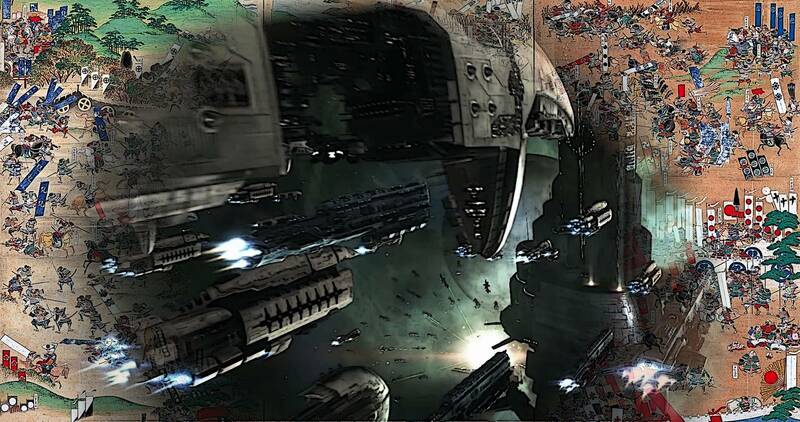 The last time there was a major reshuffling of the resource distribution within EVE, it triggered a war which lead to the CFC dropping their longstanding principle that they would not have renters. Maybe this time we will see social change. 1 – The Mittani dedicates a paragraph to that in one of his Sins of a Solar Spymaster columns. He has repeated the statement in presentations and several others have echoed it.